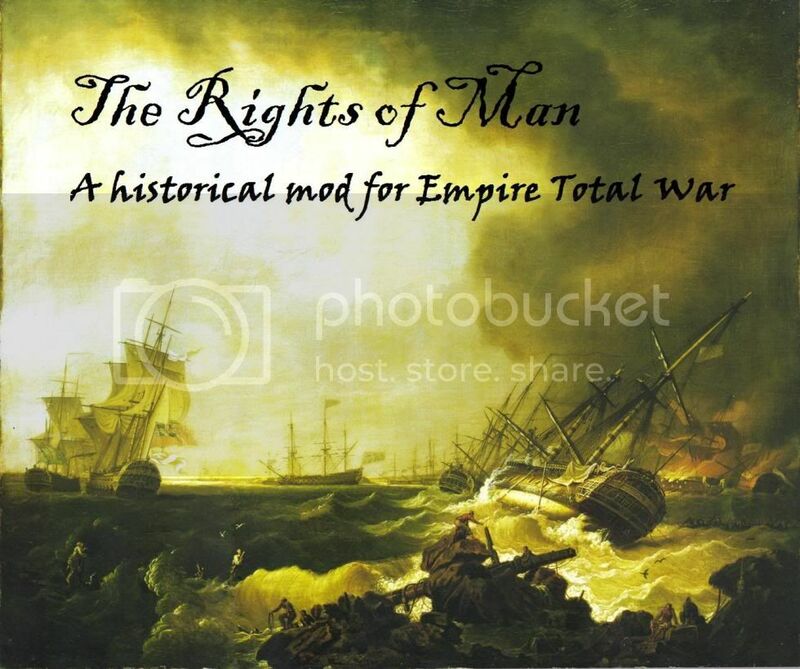 Welcome to the ETW released mods list. This document is mostly based on a great forum thread by PowerWizard who took the time to create a thread where all mods would be listed, be they large or small, graphic or gameplay. The purpose of this page is to give you an overview about the released mods and to allow mod creators or contributors to give everyone an idea about what their mod does - and thereby hopefully to attract new players! Everyone is invited to create descriptions for mods which are missing them but please don't meddle too much in other peoples' work and don't make your descriptions overly long. If you want to change an existing description please use the discussion unless you're the original author of the description or a member of the team creating the mod whose description you're about to change. A Proper Empire balances combat, morale, and battlefield effects. Pricing changes in units, buildings, and research costs will challenge you but new units, new technologies, and additional benefits from many other changes to Empire will be available. Terra Incognita adds the most advanced strategy-focused mod for A Proper Empire to date. Enjoy exciting new features like Manpower and Supply, a completely rebalanced economy and, most importantly, an exhilarating new gameplay feeling. The aim of Terra Incognita is to present the player with ways to employ diverse strategies and present him with interesting decisions that offer meaningful choices. Thanks to major contributions from members all across the community the mod now contains additional unit textures, improved smoke and sounds, historically accurate battalion/naval flags. Also included; over half a dozen new units, with more to come -- there are even compatible additional unit packs provided by members of the community! Musket fire is more realistic and artillery plays a key role on the battlefield. Technology rates have been reworked; some things are easier to acquire, some take longer. Charging is more effective, useless firing drills have been removed, and all units have been balanced accordingly. Building times for settlement and capital improvements now match the increased number of turns. Furthermore, the whole naval combat side has been revisited and adjusted to be both more realistic and provide a better gameplay feeling. Imperial Splendour 2.0 and later versions are tackling one of the biggest Issues in Empire: Total War. Every faction had basicly the same troops. Imperial Splendour has given each faction their own unique roster. Every faction is with its own strengths and weaknesses, to ensure no campaign is like the other. All those changes are based on historic facts. Also new is a totally reworked Colonial Recruitment. Armies recruitable in North America, South America or India are no longer the same, but now differ significantly. Another part of Imperial Splendour is the Ultimate Artillery Mod. Unique to Imperial Splendour, it gives each faction its own set of artillery to recruit from. Generic guntypes for all factions are gone in this mod. Shot types have also been reworked, for more realistical effects. This goes along with the a new Combat System, and Campaign AI. For version 2.1 and later, Imperial Splendour also contains reskin work from the community, to allow for an even greater identification with the various factions. It is the dawn of a glorious modern age. Reason -- even "enlightenment" -- courses through the veins of nation-states. In the streets of Paris, men speak of the "Droits de l'Homme". The common man now fights for a flag and pro patria -- not just because a feudal lord has conscripted him in service. Yet, some leaders see these so-called "rights" as a poison to be resisted at all costs. The principles of natural philosophy guide the wealthy as they strive to accumulate yet more wealth. The medieval prejudices against earning money and trading are still strong, so many make use of "factors" -- agents who act on behalf of a wealthy lord to create yet more wealth, seemingly from nothing as gold multiplies itself. But there is always a cost. In the countryside, the crushing, but reliable and proud, rural poverty of most men is at an end as the commons are drained, cleared, enclosed and planted. A way of life for thousands of years has come to a sudden close, driving the common man to beggary, to work in a factor's mill, or to enlistment in the military of his state. Sometimes, a wave of unrest driven by these new principals of enlightenment and fueled by the dislocated poor, will crest and break on the land. Most nation-states now have a professional army, built along modern principles. Ostensibly, war is fought for rational reasons, by rational means: the ordered movement of armies enforces the rights of nation-states, kingdoms and empires. No mere brutish motivation drives armies together. Now, armies fight to further the enlightened policies of their leaders, in the old world or the new. Or perhaps not. Perhaps, as they always have, soldiers fight for rulers motivated by cold avarice, blood lust and the age-old desire to conquer those that refuse to submit. On the battlefield, soldiers move through complex evolutions -- evolutions for marching, evolutions for maneuvering in face of the enemy, and evolutions to load muskets quickly and reliably in the face of thunderous guns. The crisp mathematical theorems that describe these evolutions are based on the principles of geometry and trigonometry, and simple axioms. It is war as it should be, according to the theorists: orderly, precise, predictable. Yet these theorems do not protect the common soldier from the bloody hand of fate, nor from the privation and illness that is his lot. They only obscure that these battles are won, as all battles have always been won, by discipline in the moment of violence and crushing the enemy's will to fight. A leader in these times must learn to balance progress and stability, conquest and investment, taxation and growth, trade and self-reliance. A successful ruler will set his land on a path to recognition as the premier nation-state of this new age; a failed leader will condemn it to be a backwater country, forgotten and passed-over by the modern age and The Rights of Man. Welcome to Regalia of Nations, what we hope will become the graphical go-to mod of Empire Total War! This mod aims at changing the look and feel of the game. Flags, Uniforms, Music, Graphical Effects, this mod will be looking at changing all of them. We hope at gaining hosted mod status soon to better our work and reach more people. The only gameplay feature this mod will change is allowing minor factions to be playable in the Grand Campaign. NOTE: Emergent Factions are not playable. The Mod Leaders for Regalia of Nations are me (Aykis16), Trasibulos, and Mech_Donald. We are looking for other mod members to help with uniform textures as well and perhaps for music and research. So if you're interested in joining the team, pm either Trasibulos, Mech, or me and tell us why you want to join the team. This page was last edited on 22 October 2018, at 01:06.